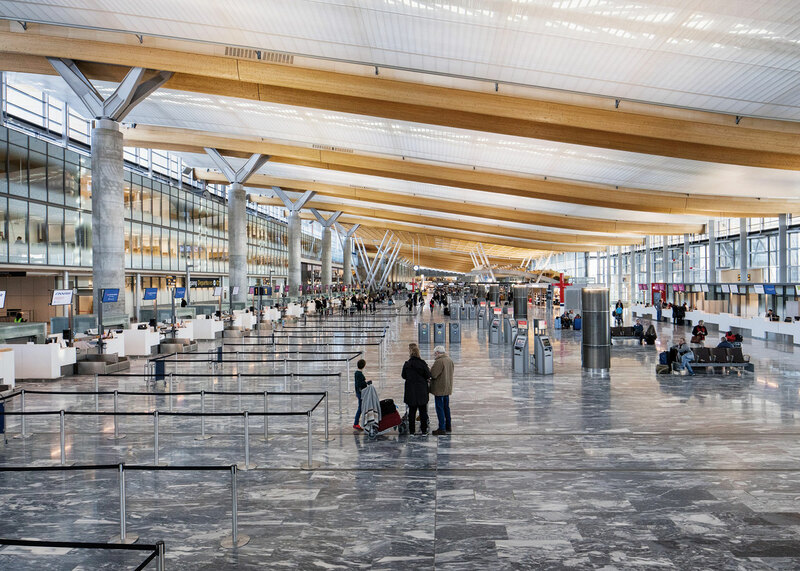 In 2009, Team_T won the international planning and design competition for the Oslo Airport Gardermoen expansion, with its proposed TerminalEN solution. The proposed solution involved a development in two construction phases, the first of which would increase the capacity to 28 million passengers per year, with the second increasing it further to 35 million passengers per year. As a partner in Team_T, Aas-Jakobsen has been responsible for the civil engineering part of the project, primarily the terminal expansion, and has also held key roles in the project organisation. Team_T is an integrated multidisciplinary design team made up of architects and engineers. The T2 project involves new buildings to expand the existing terminal building, split across two geographic areas, as well as renovation of the existing terminal building. The new buildings contain spaces and functions for the departure hall with security control area, arrivals hall with baggage reclaim, passenger boarding bridges, spaces for commercial businesses, office spaces, goods reception facilities and technical zones, including the baggage handling facility. The floor areas of the new buildings are split between the West Central Building, around 50,000 m2, and North Pier, around 65,000 m2. Renovations to the existing terminal involve around 25,000 m². From a technical aspect, the T2 project has been extremely challenging. The buildings are large and complex, with extremely high requirements regarding quality, architecture and flexibility. 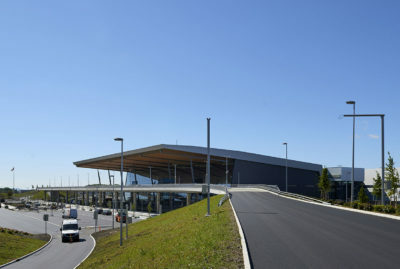 The T2 project was implemented while the airport remained fully operational, which resulted in a complicated interface with the existing building stock and day-to-day operation. The development was implemented with minimum disruption to day-to-day operation. During its implementation, the T2 project was one of the biggest land-based construction projects in Norway. 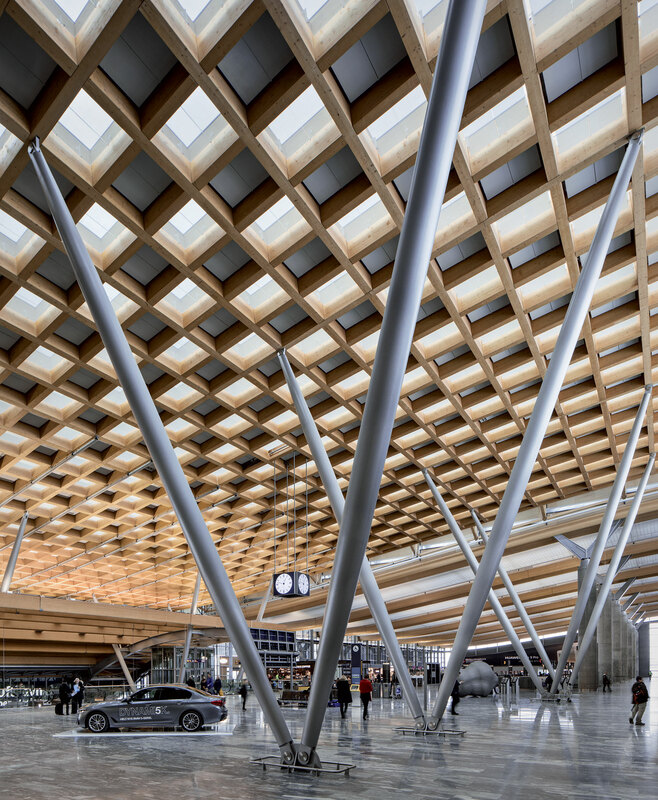 The newly expanded terminal building at Oslo Airport is now a high-profile building, both nationally and internationally. During the engineering design phase, everyone on the multidisciplinary design team worked out of the same office and made extensive use of BIM. BIM allowed the team to simulate the project in a model before construction and was essential for the various disciplines to work together and avoid interdisciplinary clashes. The model was also to some degree used by the contractors. Environmentally, the T2 project’s goal was for the development to be as climate-neutral as possible and stand out as an environmental role model. The T2 project had a strong focus on environmental requirements, including energy needs, greenhouse gas emissions and choice of materials. The new buildings were designed to achieve passive house standard. The project has been certified BREEAM NOR Excellent. The first construction phase of the T2 project opened on 27 April 2017 and has given the country’s main airport the capacity expansion it needed, and an excellent basis for future growth. Aas-Jakobsen is pleased to have contributed its expertise to this complex project. Expansion of the existing terminal, both airside and landside areas, from a theoretical 19 million passengers per year to 28 million. This involved 115,000 m2 of new building area for the terminal, and 25,000 m2 of renovations.